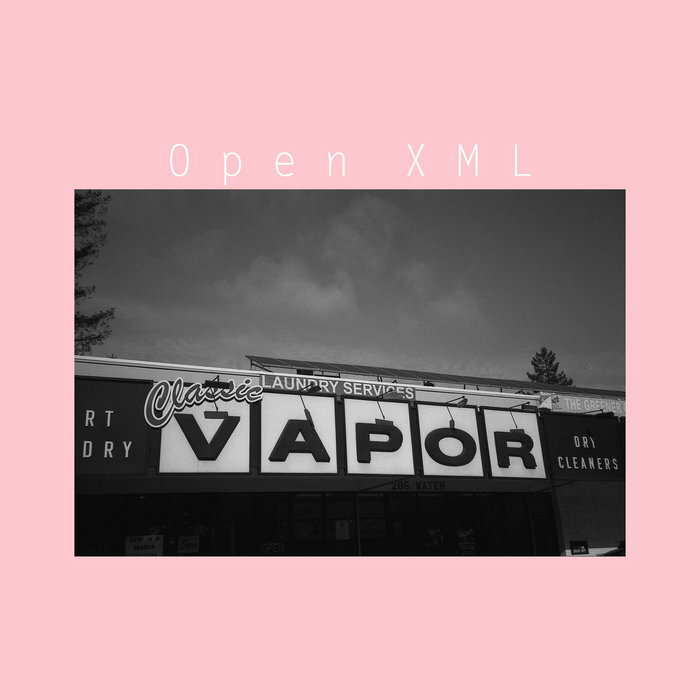 Open XML’s ep. Classic Vapor sounds like the faded memory of a party, like waking up cold and alone the morning after a huge night out with the music still ringing in your ears and trying to remember how much fun you had. Once the drugs have worn off and the moment’s passed, it all starts slipping away from you, everything that happened feels so out of reach… so… far… away… and you just can’t quite tell if you even had any fun at all. A feeling that is communicated explicitly by the track titles on this release, such as It’s Over Part 2 (Reminiscing) and Outro (Be Glad That It Ended, I Am) which convey a real sense of loss, of bittersweet endings, of time passing and things running their course. This makes sense considering that according to Open XML, Classic Vapor is intended as the artist’s farewell to vaporwave. A sort of open musical letter to communicate the artist’s feelings about the scene and why they have to leave. In conversation, Open XML explains that this decision is a reaction to what the artist sees as an endless vicious-cycle of vapordrama and elitism, a creeping negativity that, in their opinion, has drained the fun out of vaporwave. Classic Vapor is hence intended as a reminder of things as they once were, an attempt to capture the hopeful innocence of times passed when, in Open XML’s words, “it really wasn’t about the samples or the effort”, a time when everyone was still having fun discovering new music and exploring what seemed like infinite possibilities. The five tracks which make up this ep. manage to balance these conflicted emotions beautifully. Degrading the euphoric party sounds of bouncing funk bass lines, tight dance rhythms and soaring synth leads to create the feeling of something, once shiny and new, now worn out and used up. The impact of this is compounded by the tempo of these tracks, calibrated at just slow enough to tranform their energy into something distant and mournful which urges the listener to engage reflective contemplation.